Hard to believe that Trump has been in office just 10 days. It's a whole new world. But what about his Treasury Secretary Mnuchin. He's Skull & Bones, Goldman through and through. His father was a Goldman director. Talk about someone from the belly of the beast. According to Bix he even ran the market rigging operation for the Vampire Squid. So why did Trump pick him? He had to know what the deal was. Was it just a matter of keeping your friends close and your enemies closer? Or is there more? Obviously you can't upset the entire monetary apple cart from day one, or then you'll really have pure chaos. Rather, things have to be done in stages. We're obviously in the first stage now. Trump is consolidating power. Once he's firmly in command his plan, whatever it maybe will start to unfold. Then we'll know if he's a good guy, or a not so good guy. Can't wait to find out. 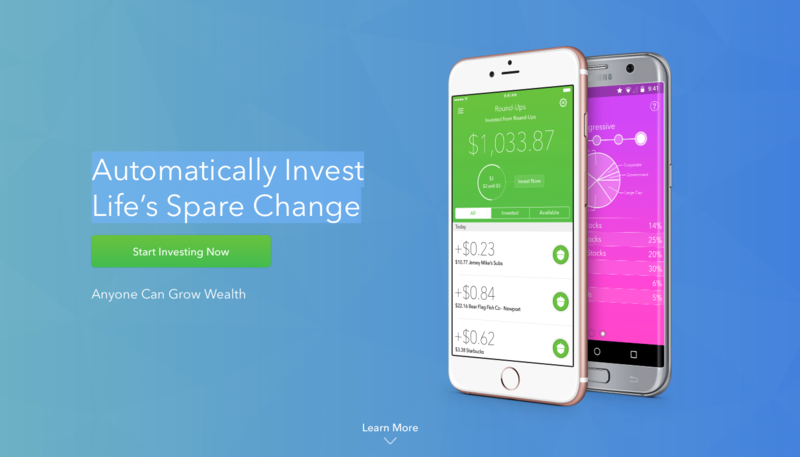 Noah Kerner and Jennifer Barrett have come up with an ingenious app that helps Millennials save by rounding up their purchases and also kicking in a few bucks extra for affiliated merchants. A wise millennial can save $750 or more per annum in an ETF portfolio, which over time will really add up. I was so impressed by their innovativeness that I signed up myself, even though I'm a baby boomer. Hey, you can never save enough, right? Christopher Lochhead is co-author of Harper Collins’ best seller: Play Bigger: How Pirates, Dreamers, and Innovators Create and Dominate Markets and the co-host of the new Legends and Losers podcast. He also coaches CEOs and exec teams in category design and marketing from time to time. We discuss what the recent tech winners have in common and why entrepreneurism has taken a hit in the US recently, but why it's coming back now. Dow Hits 20,000 for the first time The Dow Jones Industrial Average last Wednesday hit the psychologically significant threshold of 20,000 in intraday trade, representing a milestone for the blue-chip gauge and highlighting a relatively speedy path higher for the stock market in the wake of Donald Trump’s election win in November. The Dow DJIA, +0.49% is up about 9% since Trump’s Nov. 8 election victory, the S&P 500 index SPX, +0.47% has gained nearly 7%, while the Nasdaq Composite IndexCOMP, +0.65% has advanced roughly 8% during that period. The equity rally is supported by expectations that Trump will unleash a raft of pro-business policies, including a rollback of regulations, tax cuts and fiscal spending. It remains to be seen if the Dow will close at 20,000. The gains for the Dow on Wednesday came after Trump signed executive orders on Tuesday to move forward with the construction of controversial infrastructure projects, Keystone XL and the Dakota Access pipelines, which offered a boost to stocks as it supported expectations that a ramp up in infrastructure spending—a boon for economic growth—would be one of the centerpieces of his administration. Are we becoming the disunited States of Trump? The liberals are having a major meltdown around the globe. First the UK went down, then the US, next will be France and then who knows what's next. Consumers and Corporate America have taken substantial notice of the pro-growth President Elects Donald Trump moves to enhance jobs and stimulate corporate spending which has been nonexistent the last 6 years. Corporate America has spent 2.5 trillion on share buy backs and not invested in their model. Consumers are feeling good as the political scene is creating the appearance to stimulate the economy by way of deregulation for all businesses, tax reform and infrastructure spending could be a tripled headed trifecta for the US economy. If any of these initiatives get bogged down in Congress look for profit taking as the market is searching for additional reasons to go higher. The velocity of money in the economy will be increasing in 2017. It's been just 9 days but Trump is firmly in the driver's seat. Love him or hate him, he's running the show. He's our first workaholic 'n chief since LBJ. No one can keep up with him. And he's chosen to surround himself with people just like himself. Rex Tilerson, Steve Mnuchin, Mad Dog Mathis, etc. If you don't think Washington can get things done, you're in for a surprise. It's a new day in America. Whether they can pay off the debt is another story, they aren't miracle workers after all. David Sidoo is CEO, President and Director of Advantage Lithium. This junior is well situated to become a major Lithium Producer. They've just done a major capital raise and are thus well situated. They've got extremely promising projects in Nevada and Argentina. On the demand side, we're at the beginning of a major boom in electric cars that's shows all the signs of a major new trend. Right now EV's are just specialty vehicles, but every major car company from GM, Ford, BMW, Mercedes, etc., is getting in on the action. Therefore, Lithium demand is set to go exponential. Prices have increased dramatically and that has led to a scramble to find more resources. David is totally committed to building a world class company, just like he's done in the past, and he's well on his way to doing so again! Maybe the way BMW should look at it is: US labor costs add 20% to the product, but by building in US, we save a 35% Border Tax, it’s a net 15% savings. Toyota vs Ford: both have US plants, but import parts from other countries. Woody sees many opportunities opening up in the new Trump reality. Where others can't bear to accept it, Woody has embraced the new paradigm. The market will be correcting shortly. Commodities will be the new leaders, including gold and silver. Wall Street has no inkling what's in store for them, just like they never saw Trump coming. However, Woody and I were the outliers, we knew that Trump was the one! Danielle Park observes that when Obama entered the Whitehouse markets were hitting lows and so was the economy. With Trump's entrance, it's the exact opposite. She believes that cycles rule and that even if Trump is able to implement all of his policies and they go as planned, it will be impossible to beat the cycle. It's like trying to turn the proverbial aircraft carrier, it takes time. And the current occupant gets the blame regardless of who caused the mess. Let's all sit back and see what happens next. It's amazing what a little debt will. (Or a lot!) A trillion here a trillion and pretty soon you're talking global insolvency. The US, China, Japan and the EU are printing money and spreading the wealth around in an effort to avoid recession or worse. Some central banks are even buying stocks. Will the Fed start doing this as well? Time will tell? Ryan Irvine of KeyStocks.com explains that while the future may be bleak for many miners who will never actually develop their long sought after mine, there are golden stocks that he and his colleagues regularly uncover such as the maker of Karaoke machines that is absolutely killing it. They start by screening 3,000 stocks and look for companies that are under-followed, have sales and earnings and growth, imagine that. Then they meet with management and learn everything they can about the company. Oh and by the way, KeyStocks sells their research to investors rather than selling stocks, so there's never a conflict of interest. Andy Schectman of Miles Franklin was a major sponsor at the Vancouver Resource Conference. He just introduced a new single key safe deposit box program that's off the grid and located in Canada. It's a major innovation and is fully compliant with all US laws and regulations. It took a lot of out of the box thinking and work, but Andy pulled it off! Kudos to him and Miles Franklin. It's amazing what a difference an election can make. Now that Trump is president if he doesn't like something he simply sends out a Tweet and awaits the fall out. Whether it's Ford, GM, Boeing, Lockheed or the Dollar. Last week he Tweeted out his unhappiness over the strong US Dollar and like magic it came tumbling down. Perhaps he can do the same thing for childhood obesity, illegal immigration and the dumbing down of our schools. Way to go Donald! It's been a while since we last spoke with Dudley Baker. His site CommonStockWarrants.com has only gotten better and so have the opportunities. Publicly-traded Warrants, which are similar to options--but generally longer in duration, provide a great deal of potential upside leverage for resource stocks. The downside is that they come with an expiration date, so exposure to them always needs to be limited. Dudley is a straight shooter and gives you an look over his shoulder at what he's holding now. We personally profited from his advice during 2011. But it's been a long drought between 2011 and 2016. Appetite for risk always has to be held closely in check. Mark Podolsky a/k/a The Land Geek joined us for an update on the land market. Opportunities continue strong. Mark shares with us a number of success stories from his students, ordinary people who continue to make very significant returns in the land market. Best of all there's not much competition, no tenants, no toilets and no termites. It's an incredible passive income play! Yesterday's historic Trump comments, that the dollar is "too strong"
- The end of the faux "strong dollar policy," which put the gold Cartel on notice<https://www.milesfranklin.com/trump-takes-the-final-currency-war-thermonuclear-puts-gold-cartel-on-notice/>! Don't forget about our lifelong sponsor Jason Hartman. His event Meet the Masters of Income Property is a must see. Check it out at JasonHartman.com/Lutz. I'm sorry that I will be in Vancouver rather than sunny Irvine CA with Jason. Happy Inauguration Day to all! Noted filmmaker Joel Gilbert has had Obama's number for quite some time. From questions of his parentage to his ideology to his real agenda, Joel has held nothing back. Now with just three days to go before the end of the nightmare, Joel gives his take on the farewell address and what we can expect of Donald Trump, who is a real person, not a blow dried and manufactured politician. There's a new breed of optimism rearing its head. Call it Trumpian optimism. We haven't seen anything like it for decades, not since Ronald Reagan. But will it be enough to solve our yuuge problems? No problem can be solved from an attitude of pessimism and hopelessness. No, only optimism, hopefulness and a sense of positivity can solve personal, societal and human problems. But will it be enough? We certainly all hope and pray that it will be so, but we must be realistic. $20 trillion is a lot of debt! Can Donald Trump do it? In a recent article it was shown that the Millennials have very poor survival skills. No surprise here, the snowflakes seems to melt away at the slightest problem. But author, podcaster Anthony Kovic is optimistic. He believes that the Millennials got an unwelcome wake up call on November 8 and that they will quickly adapt. They won't put up with inefficient government when there's an app for that. Let's see if he's right. In just a few short days Donald J. Trump will be sworn in as the 45th president. Goldman Sachs appears to be very happy, with much of their staff and alumni in key economic positions. But they're the only ones. Government by Tweet has become the rule. And Obama has become all but irrelevant, Barrack who? What's in store for the new administration, let's see what will happen next. Call John a permanent-Trump skeptic. But so far he's liking what he sees. There is cause for concern because now it's time to deal with the landmine known as Obamacare. What to do with it? The Republicans can't seem to come to terms, but wait until they get a tirade of Trump Tweets. That will set them straight like nothing else. They're still coming to terms with the new sheriff in town and they're not sure exactly what to do about it.